The Merlion statue has been damaged by lightning during a afternoon thunderstorm. 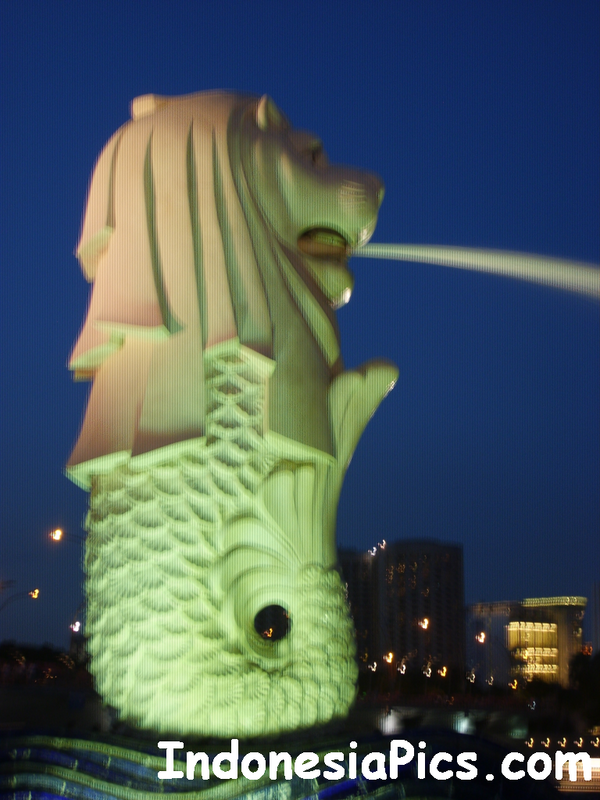 For those who does not know what is a Merlion statue – well it is a 8.6 metre statue which has a head of a Lion and a tail of a fish. Singapore is also known as the Lion city when it is founded; the the fish tail represents the early years when Singapore was simply a fishing village. The statue of Merlion sits near the central business district close to Raffles Place and at the bank of the Singapore River. Everyday, thousands of tourists goes there to take photos or a movie shot of this iconic Merlion. So it is the most famous icon in Singapore. Try to go there in the evening when it is much cooler and the with the beautiful lights, it is a beautiful place for photo shoot. Also you can see the skyline of Raffles Place and also the Esplanade. There is no entrance fee for visiting the Merlion Park and it is open during the day and night. I read from the news that the Merlion Park is now closed to the public for repair work. The lightning has damaged the top head of the Merlion statue. Hopefully, the repair work will be completed as soon as possible, so that tourists and locals can go to the Merlion Park again. I will drop by to visit the Merlion statue as soon as it reopen to the public.